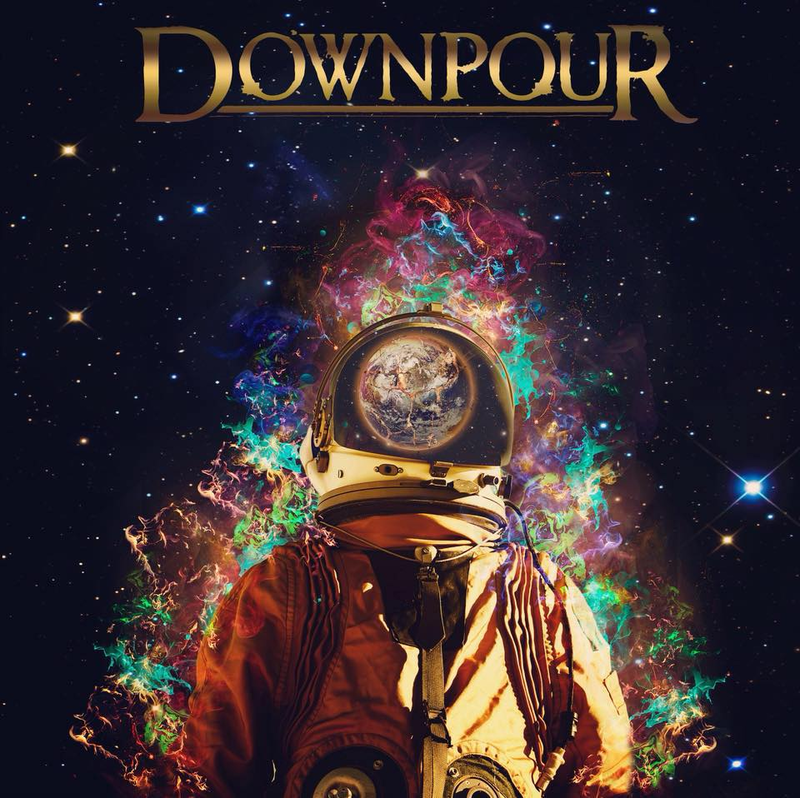 Years of anticipation are about to come to an end with the September 7 release of their self-titled debut album from DOWNPOUR. The band, which features members of SHADOWS FALL and UNEARTH, has marked this long-awaited announcement with the premiere of album track "Truth In Suffering." 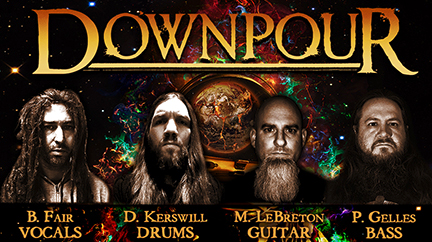 The album is available for pre-order through DOWNPOUR's PledgeMusic campaign, which offers fans a number of incentives and options. Packages include items and collectibles for every level of fan! the digital album, autographed copies, vinyl, a signed and handwritten lyric sheet, a signed drumhead, the band performing your house party anywhere continental U.S., and the Nickel Bag of Funk, in which Fair will chop off a nickel bag-sized chunk of his infamous dreadlocks for the first time since 1995! DOWNPOUR started as a project without any expectations - just an unfettered desire to play music. Their initial­, instrumental jam nights among the members offered a respite from real life - things like 9 to 5s, crumbling relationships, bills, and beyond. Their sessions were akin to therapy sessions and the music became increasingly heavy. Soon, it morphed into a beast they could no longer hold back. It was becoming its own entity. The music they were creating was so invigorating that it convinced Shadows Fall vocalist Brian Fair to change lanes and join the band. It was a no-brainer, as Fair and drummer Derek Kerswill (Unearth, Seemless) solidified their musical chemistry when they played together in the aforementioned Shadows Fall in the early '00s. The album was recorded in spurts over a four-month period in 2015. The band purposefully elected to sit on the record until the time to release it was just right. That time is now. Kerswill explains, "We consciously sat on the record for the last few years due to a lot of scheduling issues and we had all talked about the idea that back then. Everything was about content, and we wanted the days of Soundgarden and Tool-style mystery." "When I was first approached by Derek about getting involved with the DOWNPOUR, Shadows Fall was starting to come to an end and I wasn't sure I was ready to start working with another band," Fair admitted. "When he sent me the instrumental versions of the songs, I knew immediately that I had to get in! The combination of musicianship, unique songwriting style, and a groove that can't be fucked with just absolutely blew my mind." Fair further states, "This was not only music I had always wanted to hear - it was music that I thought would allow me to push myself as a vocalist and try totally new things. I tracked some lo-fi, home studio demos and sent them off to the boys, having no idea if they would be feeling what I was laying down but I know I was! Luckily, they got my vision and encouraged me to push it even further." "We wanted to make a unique metal record that represented our varied influences, unrestrained by sub- genre or any other restrictions," Fair says. "The vocal lines and lyrics seemed to flow effortlessly. The riffs and grooves really inspired me to find some deep and personal subject matter that I had yet to explore lyrically. Before I knew it, we had enough material for the record and we hadn't even all jammed in the same room yet!" They eventually did come together and Fair labels those first rehearsals as "electric." Fans will be able to hear and feel that crackle in the finished product.